If you have already purchased the sim, look for your original order email for the download link. Simply redownload the file and you will have the latest version, then install as usual. 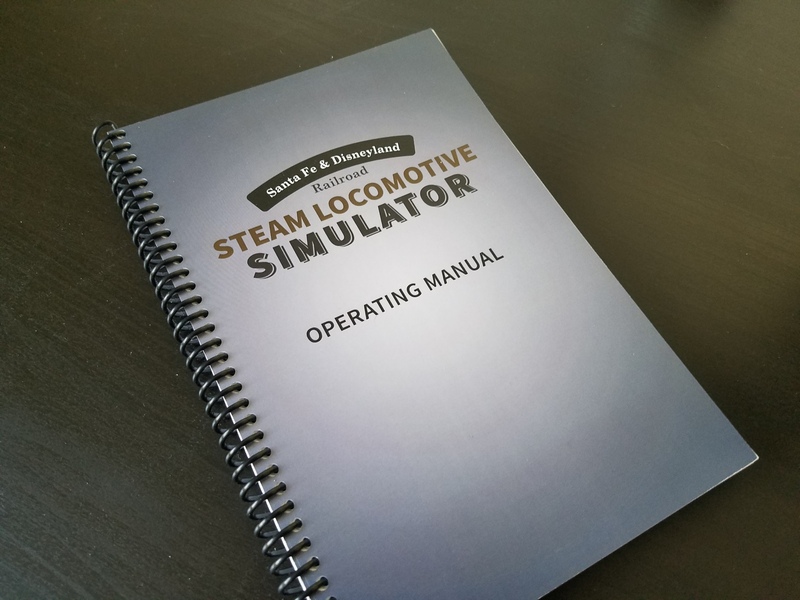 One of the new items coming as part of the Simulator update that I haven’t talked about is the highly limited printed edition of the Operating Manual! 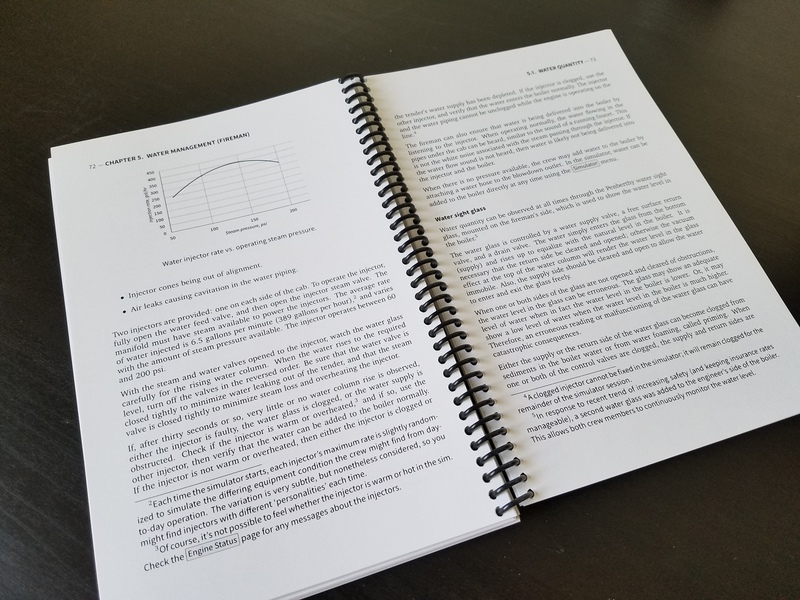 Although a PDF copy comes with the Simulator, this printed version allows you to actually hold a “piece” of the Simulator. 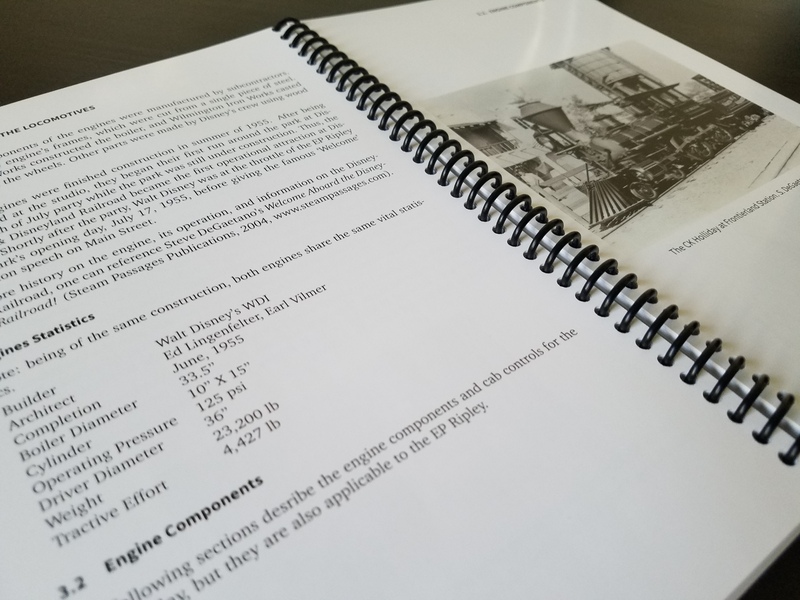 It is printed on 6″x9″ format and spiral bound, mimicking the real operating manual typical of steam engines and other technical/industrial type of work. It is printed in color on glossy paper, and makes reading and browsing through the technical aspects of the Simulator and steam engine operation a breeze. The printed manual is based on version Simulator version 1.0.1 (ie, the first update after the initial release of 1.0). You can also take this announcement to hint that the long overdue but minor update is coming really soon now (I hope!). 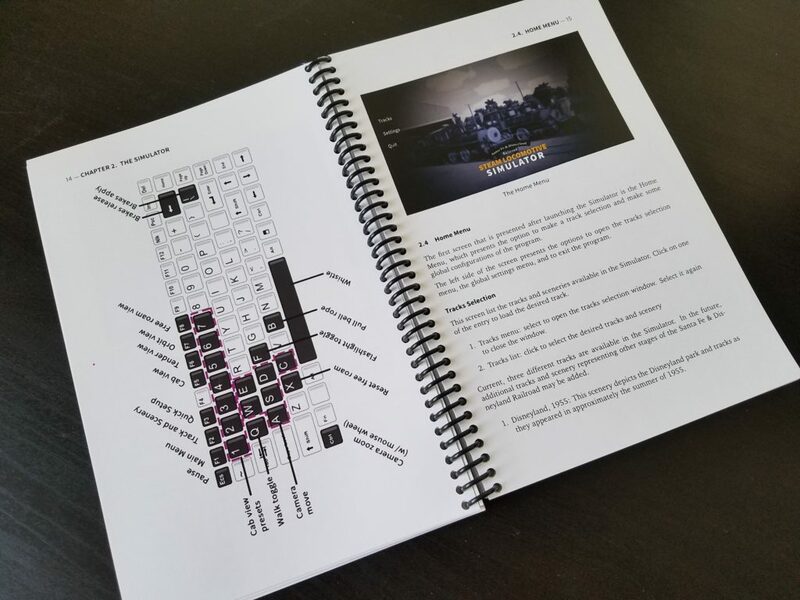 You can order the printed manual from the sidebar on the Simulator’s product page.